NEW YORK—A confused nation admitted this week it isn't sure what it's supposed to make of the fact that professional golfer Padraig Harrington wears Citizen watches, or what it means that Harrington is apparently fueled by passion and Citizen Signature watches are fueled by light. "I mean, this is something I'm aware of now. I know it as fact. 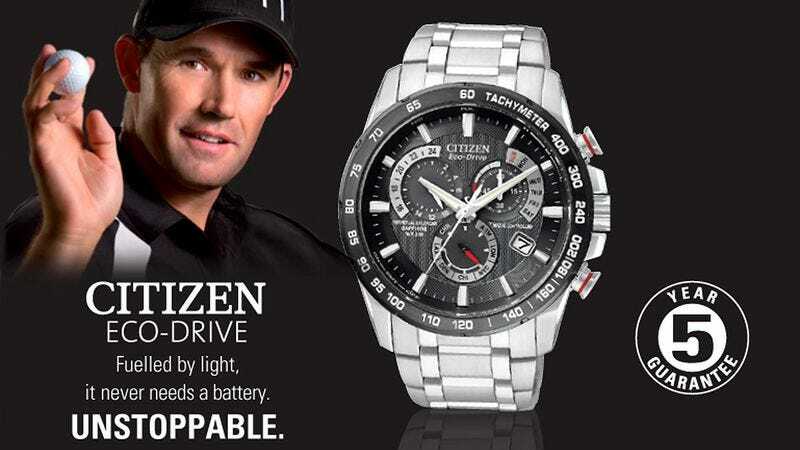 Padraig Harrington wears a Citizen watch. So what now?" 54-year-old Damien Morrison of Pensacola, FL said. "Should I consider buying one to be better at golf? Or is there maybe some message within the correlation of this person and this specific item that I'm not picking up on? I wish either Padraig Harrington or the Citizen company would just come out and tell me what to do next." According to a survey conducted Tuesday, the closest thing to a national consensus in response to this information has been that most Americans just use their cell phone to check the time.